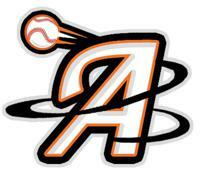 The Delmarva Aces greatly appreciates any sponsorship or donations. With the organization being in its fifth year, any help from the community will be beneficial in the growth and development of Delmarva’s newest baseball and softball organization. We look forward to speaking with many of you in your assistance with the building of the Delmarva Aces. Special Recognition for being a community supporter on banner located inside Facility in Berlin, MD. ©2019 Delmarva Aces / SportsEngine. All Rights Reserved.